There have been lots of proclamations of global gentrification based on speculation rather than investigation. In our book we use the word ‘planetary’ to signal our critique of assertions that gentrification has simply ‘gone global’. Our use of the term ‘planetary gentrification’ is not a direct copy nor endorsement of the idea of ‘planetary urbanization’ (Brenner and Schmid, 2012), but it does draw on some of the ideas around that (eg. Merrifield, 2013). Rather we use the word planetary to underline the new scale and scope of C21st processes of gentrification, its new found speed and its new frontiers in space, and to argue that gentrification occurs as much in endogenous ways as it emerges through global circuits of capital and policies. It has been somewhat fashionable of late to argue that over the past two decades the term ‘gentrification’ itself has been conceptually over stretched and has lost its utility for explaining urban processes, especially in the global south. We unpick this by debating the epistemological limits of ‘gentrification’. What we offer is an open, embedded and relational understanding of gentrification, a stance that is historical and draws on Massey (1993:64): ‘interdependence [of all places] and uniqueness [of individual places] can be understood as two sides of the same coin, in which two fundamental geographical concepts – uneven development and the identity of place – can be held in tension with each other and can each contribute to the explanation of the other’. Displacement in Guangzhou, China, 2011. Photographed by Hyun Bang Shin. In the book we begin the hard work of having ‘conversations’ about gentrification and its multiple histories across cities worldwide. Theoretically we draw on critical political economy, and methodologically we draw on the ‘new’ comparative urbanism and post-colonial theory. As critical political economists, we are interested in somewhat different (if inter related) sorts of injustice than comparative urbanists like Jenny Robinson. For Robinson (2006) it is the injustice of neglect and misrecognition of certain (southern/third world) cities, while for us, it is the injustice of accumulation by dispossession and class exploitation. These two injustices cannot be separated. We need now to find a theoretical/conceptual and methodological way forward that has political punch. We do not simply want to transcend the oppression of neglect based on location, but of human beings being cleared out of cities world-wide, socially cleansed simply because they do not have the money, the power, or the face that fits the new urban world. Displacement is central to our book. Our political message is that any scheme world-wide that causes the displacement of low income groups is gentrification; it is not as it is often pedalled to the public – ‘urban regeneration’, ‘urban (re)development’ or ‘urban renewal’. We acknowledge the rise of ‘development-led displacement’ (DID) that results from developmental projects such as railways, dams, power plants, factories, ports, etc. It is necessary to separate these processes of DID from gentrification, but very often, the promotion of mixed-use projects suggests that DID and gentrification may occur simultaneously or sequentially in some instances. We use the terms ‘accumulation by dispossession’ and ‘displacement’: the former gets at the political economy of the process; the latter reveals the human face of the process. Dispossession implies ownership (possession) of (private/public/communal) assets and associated (formal/informal) rights: in planetary gentrification, we see all types of ownership coming under attack; indeed those in informal (slum gentrification) and public (the gentrification of publicly rented housing) housing are increasingly vulnerable. We see expulsion, eviction and exclusion as forces working within these two terms. Expulsion seems rather fast, the term ‘displacement’ allows for both the fast but also the slow violence of gentrification (some programmes take years and people live under threat of losing their home for long periods of time). The threat of displacement often emerges well before the act. Graffiti on displacement from the Heygate Estate in London, 2012. Photographed by Loretta Lees. We use the term ‘displacement’ because it underlines the multiple ways that place is made and unmade. It connects to the restructuring of urban belonging through the multiscalar home. Place can be real or representational. Displacement - the disinvesting and loss of place - can be direct or indirect, it can be phenomenological. Displacement from gentrification can be very visible but it can also be invisible. Place plays a key ontological role, anchoring identity and existence. As such displacement for us is much more than the moment of spatial dislocation. To reduce displacement to that moment is to strip meaning from lived space (Lefebvre, 1991). To dismiss the phenomenological basis of place simply reduces neighbourhood to a spatial commodity and, of course, this is the understanding which underlies neoliberal urban policies. Displacement in Planetary Gentrification is material (eg. The knocking down of homes), political (eg. state-led policies/programmes), and symbolic (eg. class appropriation of public space). As we witness deepening urbanization taking place unevenly across the world, the scale of urban redevelopment has ascended to an unprecedented level. 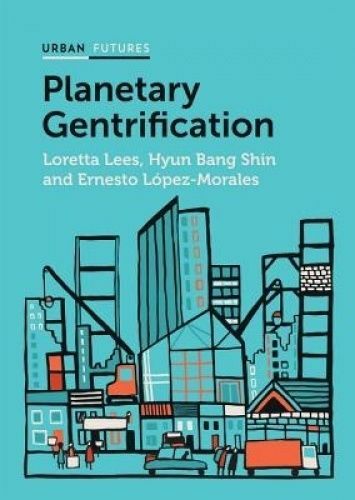 In the book we argue that C21st planetary gentrification is characterised by ‘mega-displacement’, which seems to be a pre-requisite for urbanization in the global south. The scale here is critical, for mega-development projects have led to mega-displacement and indeed mega-gentrification. The numbers exceed ones imagination – in Shanghai alone half a million households were displaced between 2003-2010. This elevates the effects of domicide to a whole new level. But mega-displacements are going on in the global north too. In London, tens of thousands of people are being displaced from council estates across the city (see https://justspace.org.uk/2014/06/19/staying-put-an-anti-gentrification-handbook-for-council-estates-in-london/) as they are ‘regenerated’. Thinking globally and comparatively about displacement is the new gentrification studies frontier. Brenner,N. and Schmid,C. (2012) Planetary urbanization, in M. Gandy (ed) Urban Constellations, Jovis: Berlin, pp.10-13. Lefebvre, H. (1991) The production of space, Blackwell: Oxford. Massey,D. (1993) Power-geometry and a progressive sense of place, in Bird,J., et al. (eds) Mapping the futures: local cultures, global change, Routledge: London, pp.60-70. Merrifield,A. (2013) The urban question under planetary urbanization, International Journal of Urban and Regional Research, 37:3:909-922. Robinson,J. (2006) Ordinary cities: between modernity and development, Routledge: London. Loretta Lees is a professor of human geography at the University of Leicester. She joined the Department of Geography in September 2013. Previously she was a Chair in Human Geography at King’s College London (1997-2013), chair of the Cities Group, Post-doctoral Research Fellow, Department of Geography, University of British Columbia, Canada (1995-1997) and a Visiting Lecturer, Department of Geography, University of Waikato, New Zealand (1994-1995). She was awarded a PhD from the University of Edinburgh in 1995. Professor Lees is a Fellow of the Academy of Social Sciences (FAcSS) and a Fellow of the Royal Society of the Arts (FRSA), and sits on the ESRC peer review college and the ESRC Future Leaders panel. She previously served on the ESRC postdoctoral award panel, the Research Committee of the RGS-IBG, and was Chair of the RGS-IBG Urban Geography Research Group. In addition to her role as Editor of Geoforum (2014-2016) she has served on the following editorial boards: City and Society (2010-present), Art and the Public Sphere (2010-present), Dialogues in Human Geography (2009-present), Geography Compass- Urban Geography (2006-present), Environment and Planning A (2002-2012), The Canadian Geographer (2004-2006), ACME: an international e-journal for critical geographies (2003-2006). Hyun Bang Shin is Associate Professor of Geography and Urban Studies at the London School of Economics, and has been in the Department of Geography and Environment since 2008. 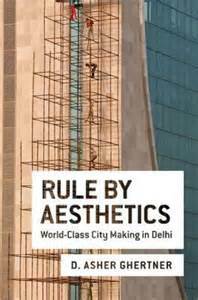 His research centres on the critical analysis of the political economic dynamics of speculative urbanisation, the politics of redevelopment and displacement, gentrification, housing, the right to the city, and mega-events as urban spectacles, with particular attention to Asian cities. His books include an edited volume Global Gentrifications: Uneven Development and Displacement (Policy Press, 2015) and a monograph Planetary Gentrification (Polity Press, 2016), all part of collaboration with Loretta Lees (University of Leicester) and Ernesto López-Morales (University of Chile). 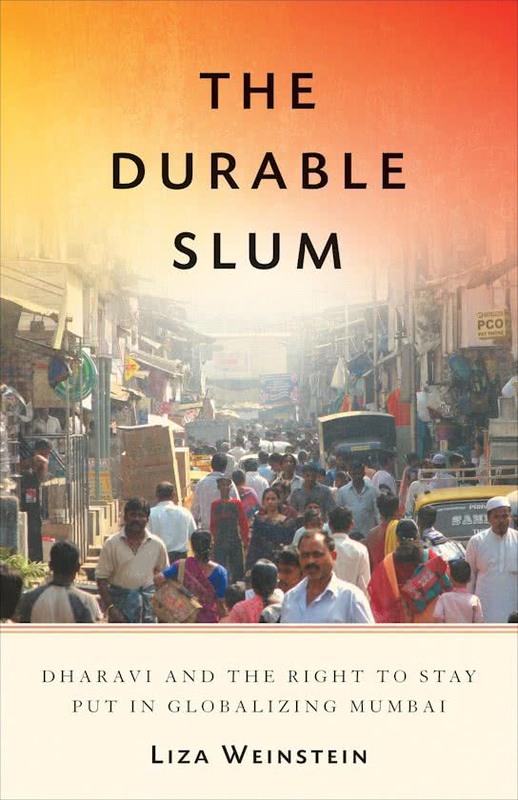 The publication of these books emanated from a series of workshops Towards an Emerging Geography of Gentrification in the Global South in 2012, funded by the Urban Studies Foundation. Hyun's other on-going book projects include a monograph Making China Urban (Routledge), and a co-edited volume Contesting Urban Space in East Asia (Palgrave Macmillan). Hyun serves the journal CITY as senior editor, is a board member (trustee) of the Urban Studies Foundation, and sits on the international advisory board of the journal Antipode and on the editorial board of the journals City, Culture and Society, China City Planning Reviewand Space and Society (공간과 사회). He is also an organiser of the Urban Salon, an interdisciplinary London-based seminar series. Hyun was awarded his BSc from Seoul National University in 1994, and worked in the construction sector for six years before arriving at the LSE to pursue his MSc (2000) and PhD (2006). Ernesto López Morales is Associate Professor of the Department of Urbanism, Universidad de Chile (since 2013). Ernesto is an urbanist whose areas of research are urban economic geography, history of urbanization processes, the study of central neighborhoods in process of change; The political economy of land, housing and transport; And gentrification and displacement.He received his PhD in Urban Planning from University College London (2009) and Master's Degree in Urbanism from Universidad de Chile (2004). Since 2015 he has been an Associate Researcher with the COES - Center for the Study of Conflict and Social Cohesion and has been Director of the Contested_Cities Project in Santiago. Between 2013 and 2014 he was an Advisor for the National Council of Urban Development Policy (CNDU). and is currently serving as coordinator of Conicyt Becas Chile - Area of rbanism and Human Settlements. Since 2014 he has been a member of the editorial board of the journals Journal of Urban Affairs and EURE. He was also Director of Academic and International Relations, Faculty of Architecture and Urbanism, University of Chile (2010 - 2014). In 2012 he was awarded the First Prize for Doctoral Dissertation Iberoamericana in Housing and Urbanism from Redalyc-Infonavit in Mexico. The same year, along with Loretta Lees (King's College London), Hyun Shin (LSE) and Hilda Herzer (UBA), he obtained financing from the prestigious Urban Studies Foundation for the realization of the first Global Gentrification Seminar.